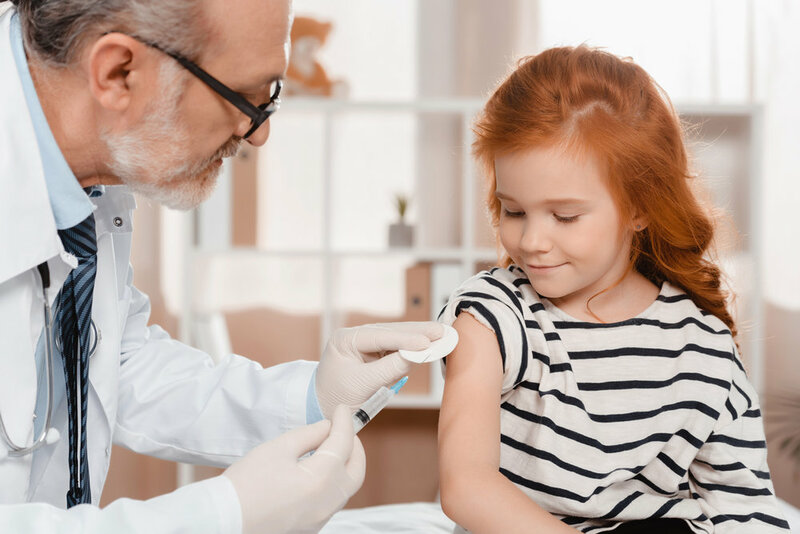 Hot on the heels of school supply lists, uniforms and packs of freshly sharpened pencils are often calls from the school nurse about immunizations. Many schools require children to have routine vaccinations completed by a certain age. But even if your child is up-to-date on those, parents will soon see consent forms for immunizations like influenza, coming home in backpacks. To determine which vaccines are required for enrollment, the Arkansas Board of Health looks to the immunization recommendations set by the Centers for Disease Control and Prevention, but doesn’t follow that schedule exactly, said Dr. Jennifer Dillaha, medical director for immunizations at the Department of Health. “A lot of people don’t know how the immunization recommendations are made, and they are fearful because of misinformation that vaccines are not being properly studied or reviewed,” Dillaha said. The organization in charge of that is the Advisory Committee on Immunization Practices or ACIP. She said ACIP reviews and updates recommendation each year as new studies come out and new vaccines become available. The committee reviews all information, including studies done by the manufacturer as well as independent studies. The Arkansas Board of Health has the authority to make certain vaccinations required for daycare and school attendance in the state. Often, it’s based on what ACIP recommends, but it’s not everything. Dillaha says she frequently hears two concerns among parents when it comes to immunizations. First is the fear that vaccines cause autism, which she says is not accurate. She said if you compare the autism rates before the MMR vaccine was introduced, you would see an increase, but it doesn’t correlate. She said doctors are able to diagnose autism earlier and could soon be able to see it at birth, which may help to further dispel the myth that autism and vaccines are linked. She said delaying vaccines doesn’t help the children avoid harm, but it increases their risk for harm. “People don’t realize nowadays, with improvements in technology, what’s in the vaccines is very focused, so the number of antigens in vaccines is actually lower,” she said. The antigen is the component of the vaccine that stimulates an immune response and provides protection from the disease. “We have more vaccines, but the total number of antigens is a lot less than what they used to have 10 or 20 years ago,” she said. Right now, there’s an outbreak of Hepatitis A in the northeastern part of the state, Dillaha said. Another disease seeing a resurgence is pertussis, which is one of the four recommended vaccines at the 11-year-old well-child visit. Pregnant women and adolescents are also encouraged to get the vaccine to decrease the spread of pertussis in the community. This year, the Health Department will once again provide influenza vaccines in schools in anticipation of flu season. Parents must give permission for children to get the flu shot, and should be looking for consent forms in backpacks around the last week of September or the first of October, she said. Any child younger than 9, if they have not had two doses of the vaccine before, this year they’ll need two doses about four weeks apart.